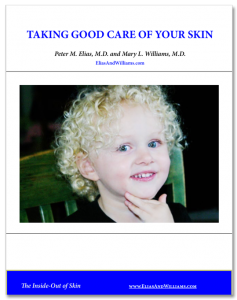 Pollution SF 800x400 - Elias and Williams: The Inside-Out of Skin by dermatologists and skin researchers Peter M. Elias, M.D. and Mary L. Williams, M.D. Photo of San Francisco’s Bay Bridge shrouded by smoke from distant forest fires. People wear face masks to protect from the polluted air.